Helping to obtain subsidies from various government departments for MSME units. 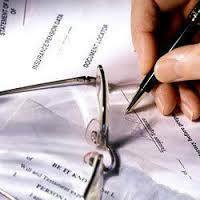 Tender Documents preparation and submission consultancy. Subsidy and awards on Quality Certification for SSI and SME units . PF & ESIC new unit registrations and follow-ups for any matter. Obtaining memberships from professional bodies like CII, Nasscom, FICCI, Chambers of commerce, ESI Etc. To liaison with Government and institutional bodies various type of registration to industries and othersÂ Like, SSI, Shops & Establishment Act. DGS&D, NSIC, 100% EOU, ITÂ Companies RegistrationÂ with Govt. of Delhi and Various States, IEC License, PAN, Factory License, Pollution Control registration, Co-operative Societies registration, in-house R&D unit registration etc.